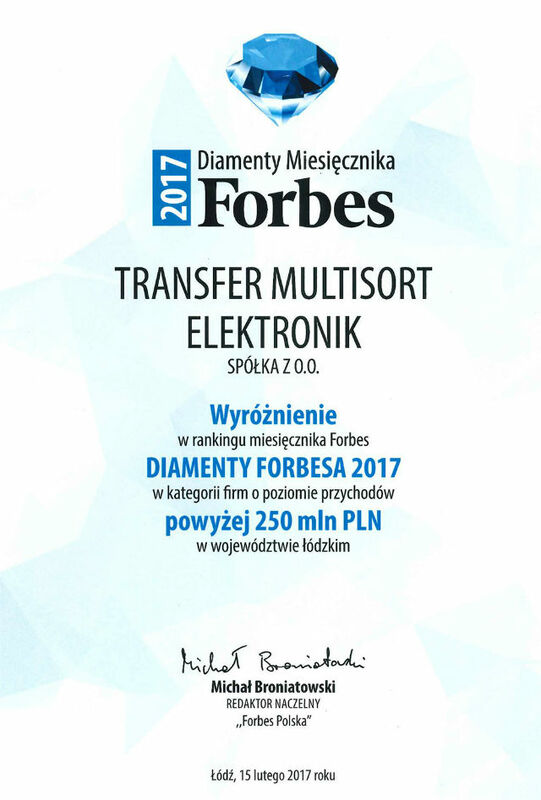 This year, like in 2016, TME was once again among the companies in Łódź Voivodeship with yearly revenue of more than 250 million PLN that received the prestigious Forbes magazine’s award. This year’s winners include companies with fastest value growth during last three years. Forbes’ Diamonds were awarded for the 10th time. They are given to the most rapidly developing companies in Poland. They are an award for entrepreneurs who value innovative approach and persistent implementation of strategic and financial goals. This ranking is meant to improve competitiveness in Polish regions and inspire discovery of new development possibilities. We are very proud to receive this award. Thank you!